The Caribou Parks and Recreation Department is dedicated to meeting both the active and passive recreational needs of citizens in the Caribou community. Since the beginning of recorded community history, the community and it’s local government have been very pro-recreation. Although greater diversity of interests and needs of users make it more challenging for parks and recreation officials in lean economic times, Caribou’s park and recreation program continues to be one of the most successful in the State of Maine. The Parks and Recreation Department is overseen by a five member Park & Recreation Commission which is an all volunteer entity appointed by the Caribou City Council. The Commission works directly with the director and staff of the department to make decisions regarding budgeting and policy. This web site describes some of the activities that are available to Caribou area residents. 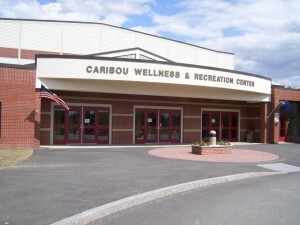 Persons desiring further information regarding specific programs or wishing to make suggestions or offer assistance for specific programs should contact the Caribou Parks and Recreation office at (207) 493-4224. To provide an ideal system of parks, natural resources, facilities and recreational opportunities in an effort to enhance the quality of life for the entire Caribou community. To serve the Caribou community through the development and presentation of recreational programs and facilities targeting all age levels with a common goal of health improvement and life enrichment. To provide the Caribou community with quality, broad based, year round recreational opportunities. To provide quality positive leadership to the department grounded in common sense, with the overall goal of insuring that services of the highest quality are delivered to residents. To provide a forum for all employees to share information, ideas, perspectives and resources, evaluate departmental operations and policies and provide quality responses to all requests from citizens, elected city officials and other city departments.